The ancient remedies of Feng Shui can easily be adapted to harmonize with Western culture. 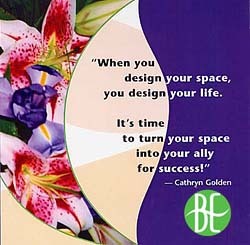 Balanced Environments specializes in assessing your unique needs, and developing creative Feng Shui solutions that will work for you - things that you actually will like, and want to do. You will discover the WOW Factor—simple shifts can produce incredible results! Which benefits will be most helpful to you?